Oh god... how did this get here? I am not good with computer. All of these images are thumbnails. You can click them for the full resolution. Here is the setup I use to do the first filtering of the mercury. 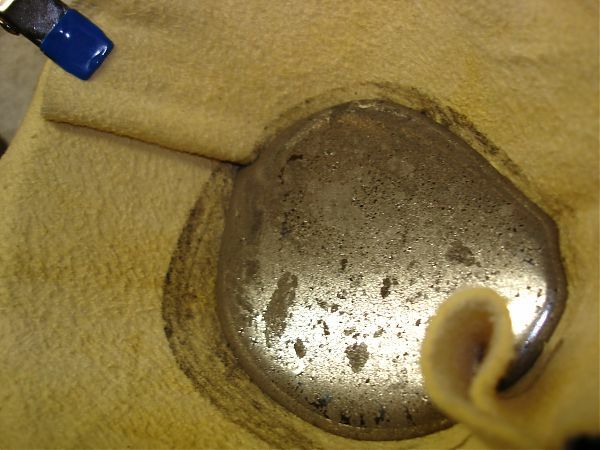 It consists of a sheepskin chamois fitted inside of a funnel with a very small hole punched in the bottom. Clips hold the chamois to the edges of the funnel. As the mercury level in the funnel drops, the dirt and other insoluble crap sticks to the chamois and only a very small amount passes into the collection vessel. Also pictured above is the open stainless steel paint can that I used to contain the mercury as I was transporting it. 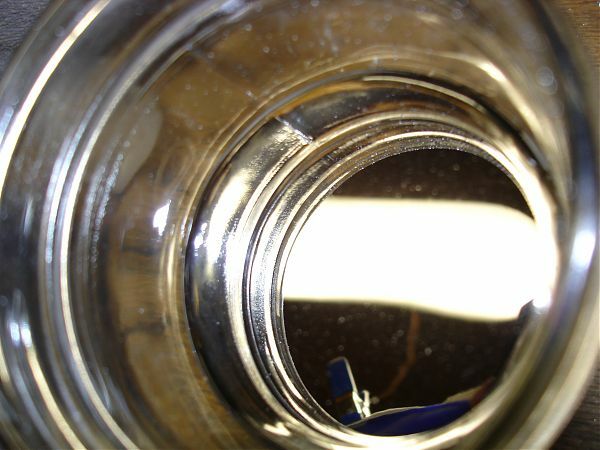 Inside of the paint can you can see the dirt and junk floating on the surface of the mercury. The can was double-bagged in polyethylene and that entire assembly was locked up in a water-tight polymer box (in case the worst happened). 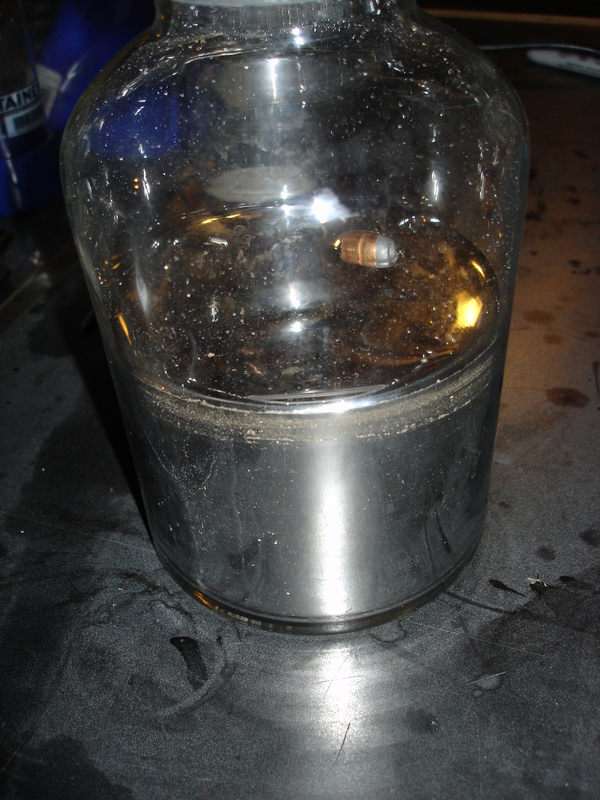 I had a 150mL beaker around for collecting the waste as it accumulated. 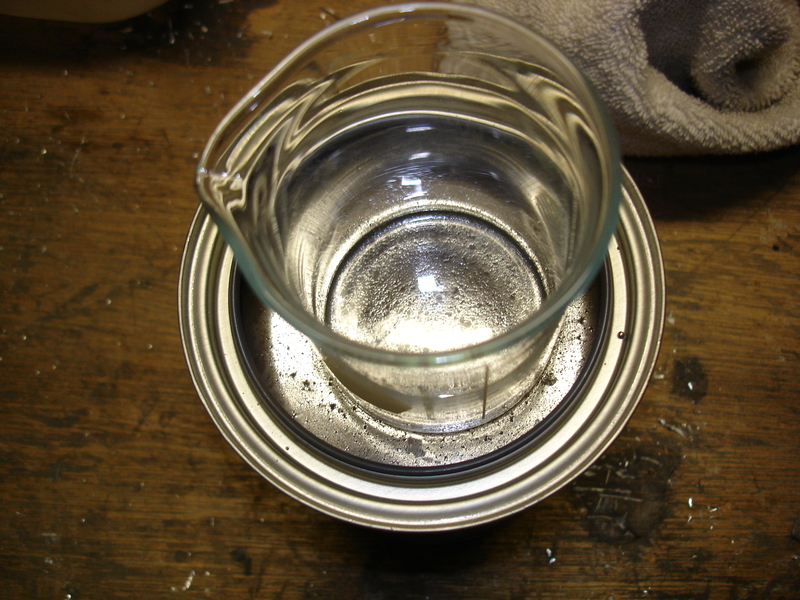 Here is the beaker floating on the surface of the mercury in the paint can. As I begin the filtering operation, you can see the chamois doing exactly what I intended it to do: Catch the dirt. This is the first round of metal to be loaded into the filter. So you can tell from the reflection of the overhead lights roughly how filthy the stuff was. Here is another shot of the filter as I pour in the last of the unfiltered mercury. This beautiful photograph is the cleaned mercury after falling out of the funnel and striking the bottom of the glass flask. This is not a good thing to have exposed to the atmosphere. 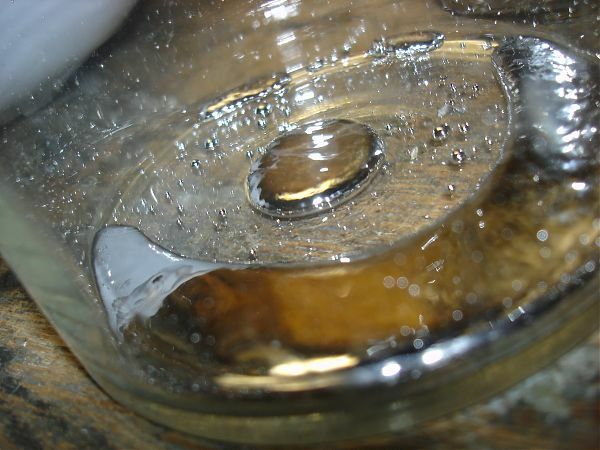 As the high vapor pressure of the mercury (relative to the accepted safe exposure concentration) combined with the high surface-area causes the inside of the flask to saturate with mercury vapor. 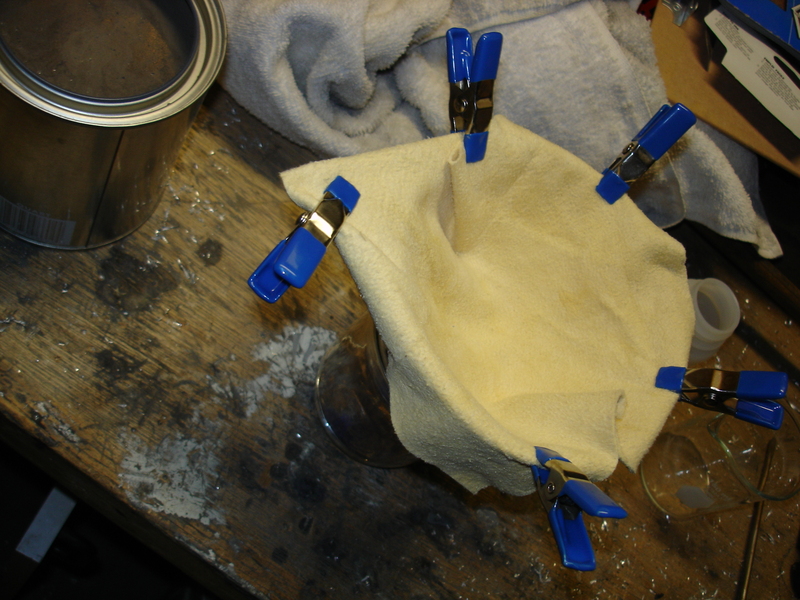 The funnel forms a seal with the flask to mitigate the vapor release during this procedure. The final volume was close to 0.8L. I didn’t store it all in the glass flask because the weight is just too much. 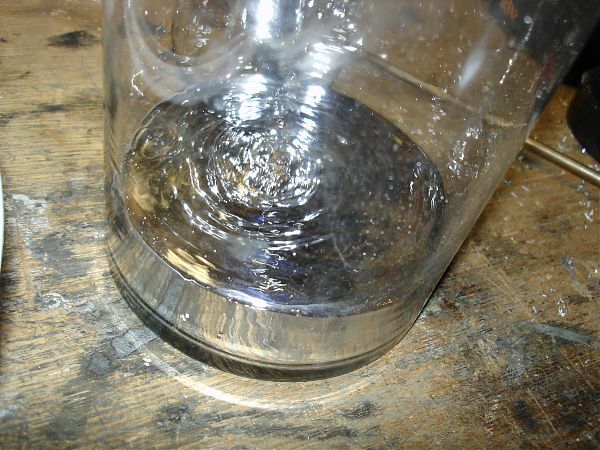 Even at less-than half capacity, I began to have worries about the bottom of the flask giving out. 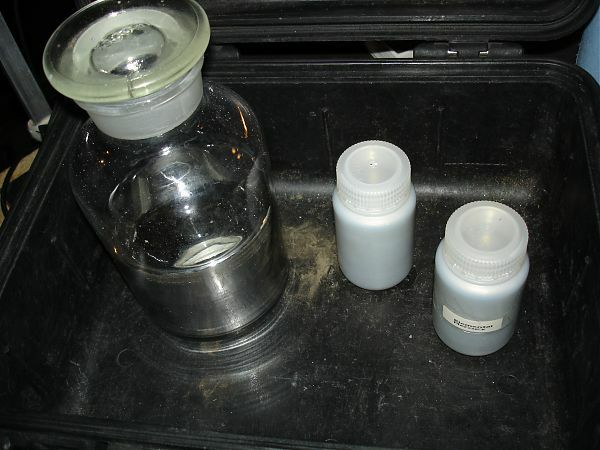 The bottles are thick-walled polypropylene with an air-tight seal. 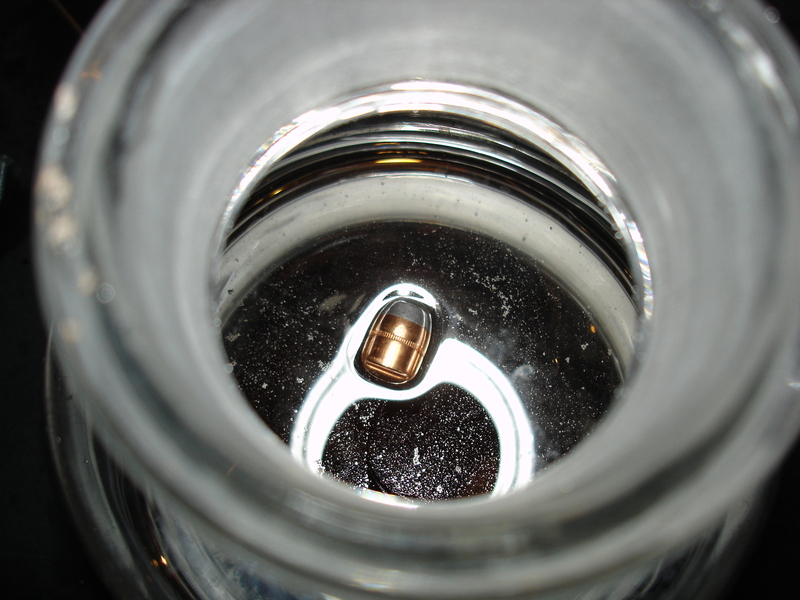 For fun, I dropped a .357 copper-jacked bullet into the flask. As you can see, lead floats. 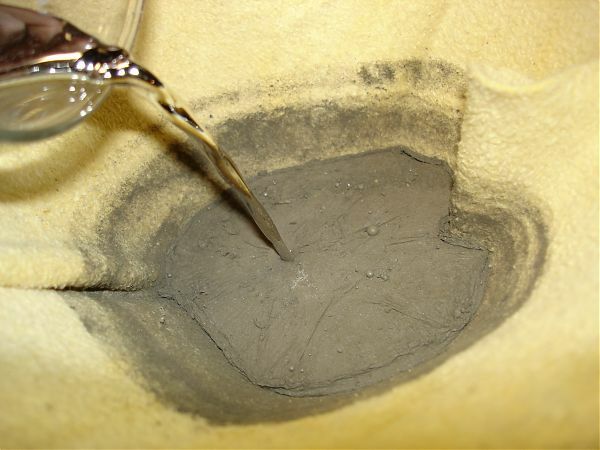 Despite being much cleaner after filtration, this procedure does nothing to remove trace metals that have amalgamated with the mercury. For that, I will have to distill it. But that procedure is much more dangerous, and will require planning and rehearsal before I attempt it on this volume of mercury. Content is Copyright 2007 by J. Ian Lindsay. Please use, but use with permission. Powered by Textpattern with the Azurio template.